Already have your own posts and stays? Our fitting kits have all the components you need to build your own end assembly. Are you looking for a long lasting rust resistant fence straining kit that can take less than 15 minutes to set up? Our fitting kits are simple and very easy to install. Everything is bolt on. No need to carry around your welder or drill. All you need is something to tighten the nuts and bolts. The design of our Twist Tight Stay Connectors means you can run your end assemble at any angle or pair it with corner kit. WHAT'S INCLUDED IN your FITTING KIT? A Twist Tight Stay Connector. These are made from hot dipped galvanised steel. A Footplate. These footplates are made from hot dipped galvanised steel, which means it will last longer than other alternatives. The tongue on the metal plate that goes into your stay is welded on. As a result this footplate is more durable, more secure and stronger than other footplates on the market. 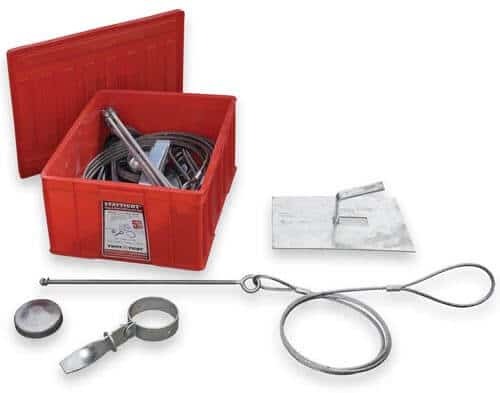 One Tension Assembly: This includes a cable made from stainless steel and a hot dipped galvanised steel eye bolt. The cable is already connected to the eye bolt and the loop is already set up. No need for rope grips, saving you time. A Post Cap: All post caps are made using the Galvabond Process. 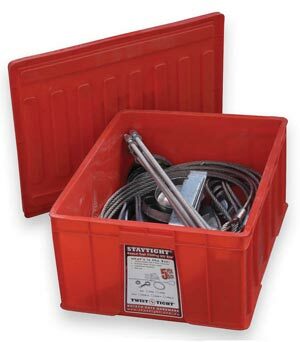 And if you buy a set of five fitting kits, they come in a convenient red box. Everything is stored in a compact box for easy storage and portability. Just grab the box, chuck it on the back of your ute and you're ready to go! WHAT'S INCLUDED: Foot Plates, Tension Cable Assemblies, Post Caps, Twist Tight Stay Connectors. 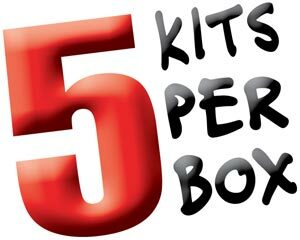 5 Kits To A Red Plastic Box. 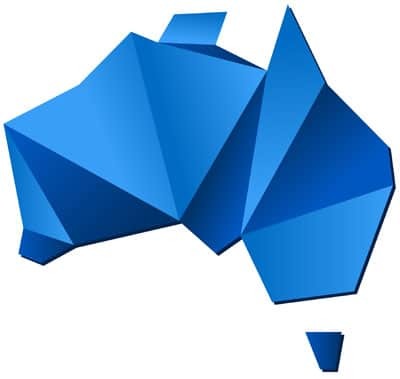 It can be difficult to find good fitting kits for 90NB fence posts in Australia. In this video we show you how to install our complete drive tight end assembly including the fitting kit. Jump 2:27 to see how to install our fitting kits to your steel post and stay.